One of Bulova’s most distinctive, with the original band. Category: Sold Watches Archive. 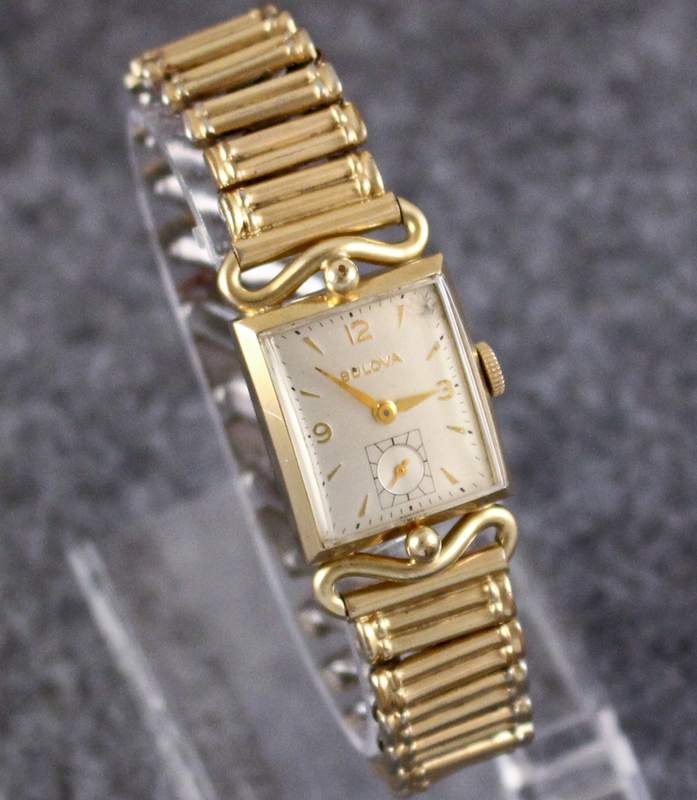 Tags: 10K rolled gold plate, 1950s, square, yellow gold. 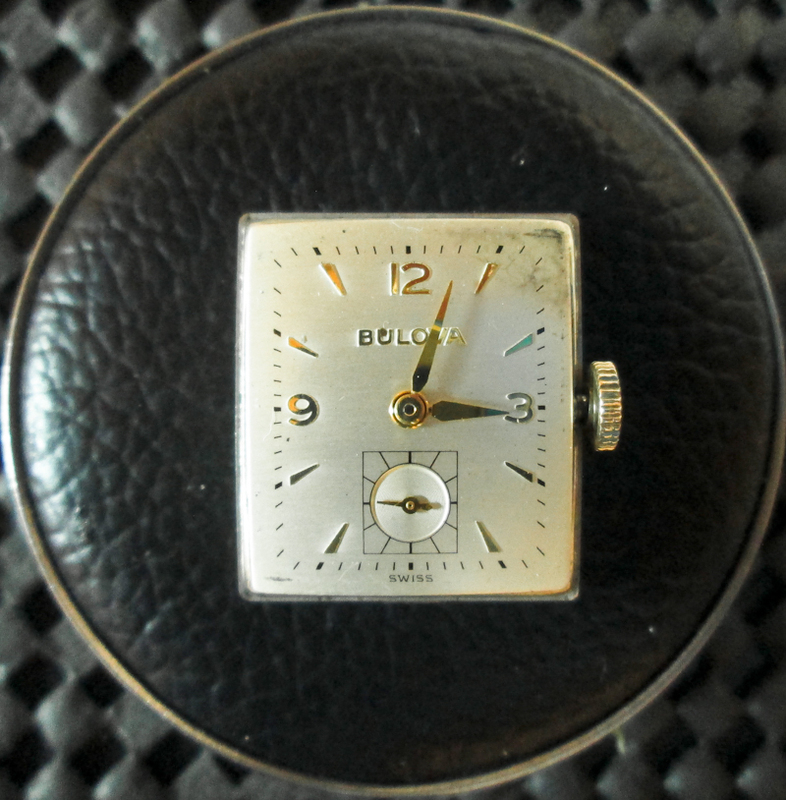 This distinctive Bulova model is unnamed in the Bulova catalog, but referred to by collectors as “The Moustache.” The watch’s nickname, obviously, derives from its dramatically-shaped lugs. 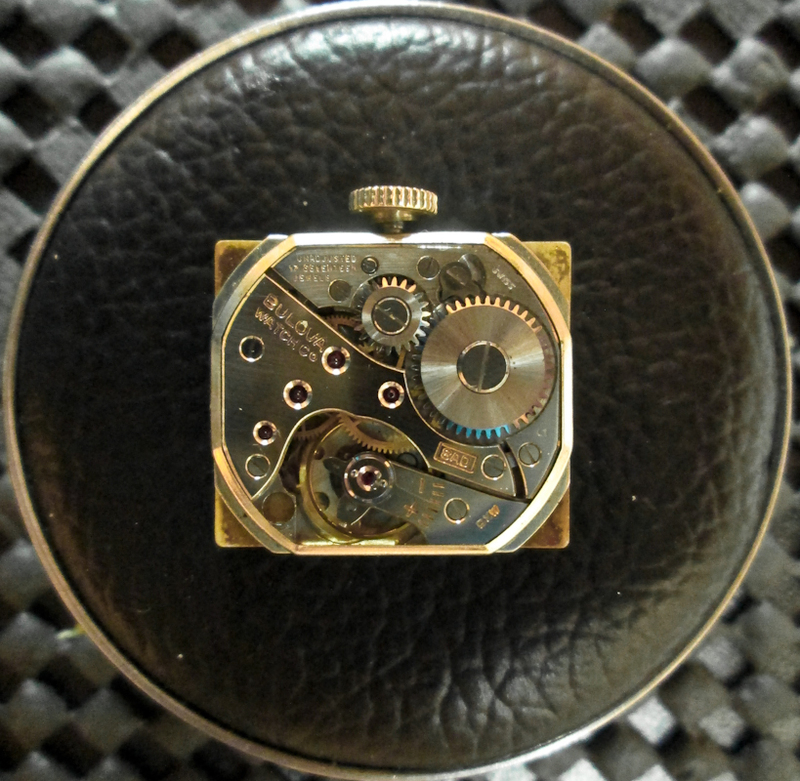 Good examples of this watch are somewhat uncommon, due to wear on the high points of the case. 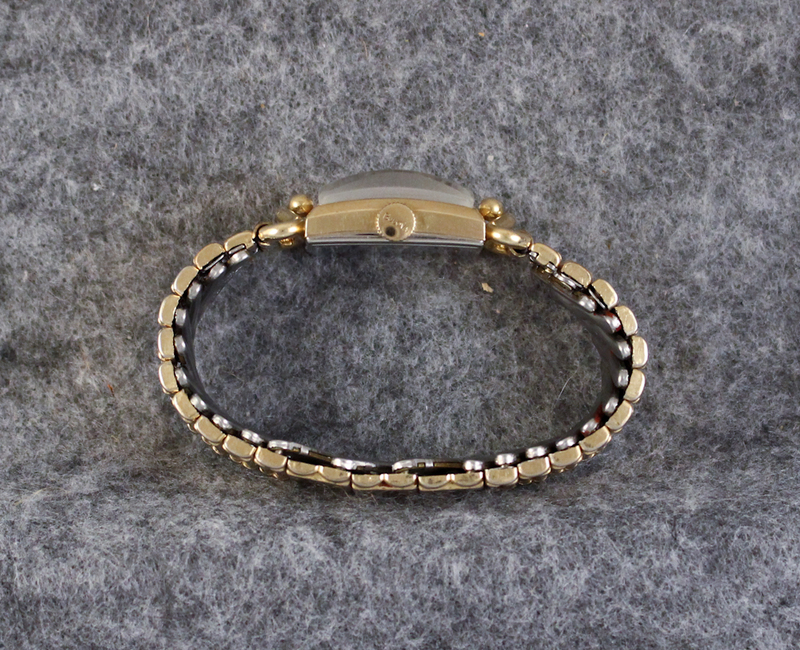 Not only is this example free from wear, but also, it includes the original matching watch band! 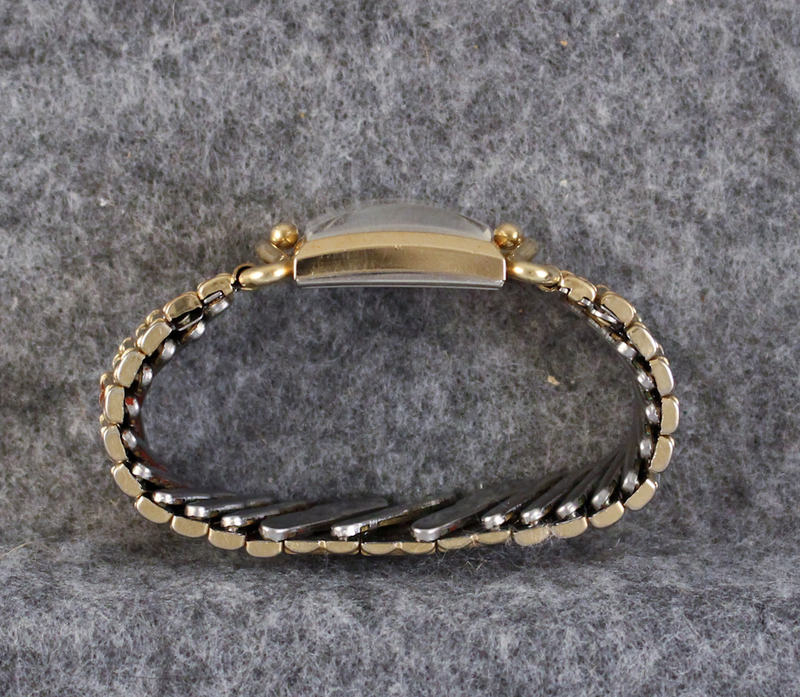 The watch has a 10K rolled gold plate bezel, in yellow gold. The case back is stainless steel. 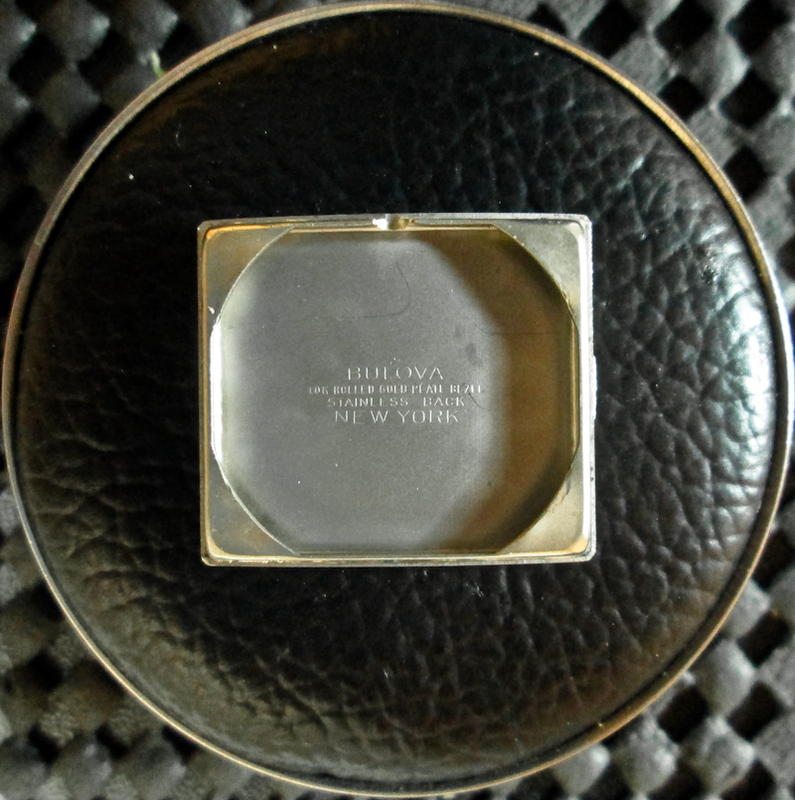 The signed Bulova case is free of brassing and wear through and is in Very Good to Excellent condition. The dial shows some spotting and a slight patina. (As this watch is all original, we did not restore the dial.) The hands are in Very Good to Excellent condition. The watch has a Bulova 17 jewel movement, calibre 8AD. The watch winds, sets and runs well. The band on this watch is the original. It shows its ages in places, but we wanted to keep it with the watch. It is serviceable. 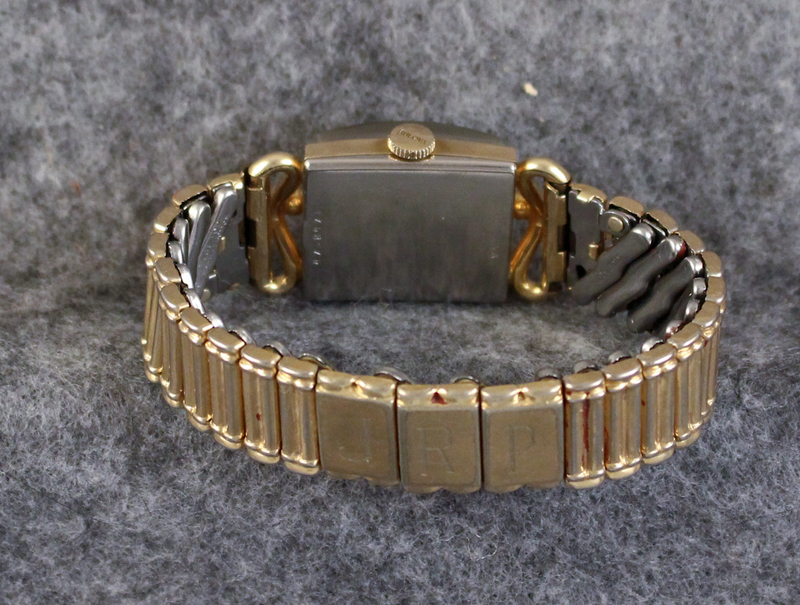 Note that the band is personalized, with the initials “JRP” appearing on the back. The watch is currently running strong with good reserve. We have not serviced this watch. While it is running well now, we would encourage you to have it serviced to ensure you get the longest pleasure from this vintage piece. Note that this watch is relatively small (24mm x 37mm) by modern watch standards and can be worn comfortably by men or women.